Every device on the Internet has an IP address. The IP address serves as the device’s identification – much like how a phone number identifies a particular phone. When devices communicate on the Internet, they are sending data from their IP address to the IP address of their intended destination. Sometimes, while data is en route to a destination, the IP addresses used in the communication need to be translated to different IP addresses. This IP translation is similar to when multiple employees of the same company use their individual phones (with individual phone numbers) to make outbound phone calls, yet still appear as if they were all using the same company phone number. 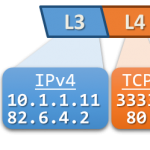 The process of translating one IP address to another is known as Network Address Translation, or NAT. 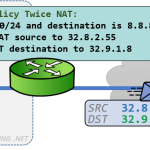 There are many different reasons one would need NAT, and many different ways of translating IP addresses. 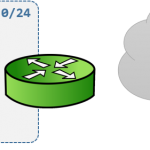 Understanding NAT is paramount to any Network Engineer, as every wifi, home, or company network employs Network Address Translation at some point. This article series will clearly illustrate every type of address translation that exists in a thorough, but concise, manor that is entirely vendor agnostic and applies to the entire spectrum of address translation on the Internet.